In 2007 smoking inside public and work premises was banned. This was primarily to protect workers from the risks of second-hand smoke. However, because residential care homes are not public places and are deemed to be the private residence of its occupants, those premises were exempt from the ban. But the issues are somewhat different from smoking in a pub, when the people residing in a care home have little or no choice about whether or not to be there and may or may not have the capacity to understand why rules about smoking are being enforced upon them. It is not news that smoking indoors increases the risk of fire. The attached article includes examples of fires being started by smoking both inside and outside of premises. Ultimately, it is down to individual providers to determine how they manage the issue. Potential solutions include issuing cigarettes one at a time and having staff observe the smoking to minimise the risk of fire. Alternatively, staff could accompany service users to an outside smoking area. Managers will need to consider the burden that one to one attention places on staff in both scenarios. It is also vital to properly assess the impact on the individual’s liberty - being constantly accompanied and not having the ability to act as they wish could well constitute a deprivation. Also, it’s important to consider the risks of forcing frail elderly people to go outside in all weather conditions several times each day. Whichever method providers choose to support the individual’s right to smoke, they also need to consider the welfare of their staff and conduct a thorough risk assessment to ensure that they are compliant with the requirements of health and safety legislation. 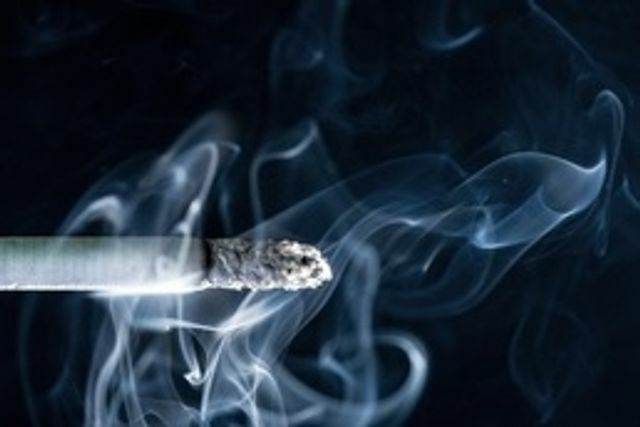 Residential care homes are exempt from smoke-free legislation. It is an individual resident’s right to continue to smoke when in care because it is their home. Although it is not a legal requirement, designated indoor smoking rooms or bedrooms can be made available for use by those residents wishing to smoke indoors.